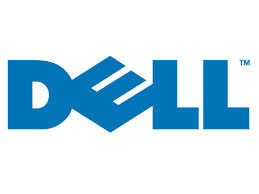 At its Dell Enterprise Forum customer and partner event, Dell today unveiled new storage solutions and expanded analytics capabilities designed to help businesses improve their IT performance, support data insights and reduce overall costs. As businesses work to keep pace with massive data growth, many are also turning to IT systems optimised for performance- and data-intensive workloads like those required to analyse customer and business data for insights that help achieve their goals. In fact, analyst firm IDC projects the worldwide big data technology and services market will grow at a 31.7 percent compound annual growth rate with revenues reaching $23.8 billion by 2016. Infrastructure technology for big data deployments is expected to grow the fastest with the storage segment expected to increase at the highest rate, 53.4 percent. The Dell Compellent Flash Optimised Solution offers the industry’s first storage solution in its class with intelligent data placement across multiple types of flash technologies or in combination with traditional drives.3 The Flash Optimised Solution can reduce storage costs by up to 75 percent compared to other flash optimised solutions, and supports high performance and data-intensive workloads with full enterprise-class features. The Dell Compellent SC280 offers the best rack unit density of any major storage solution with up to 2.8 times more capacity than competing 2U enclosures. As Dell continues to drive innovative system efficiency, this capacity-optimised solution for hosting tiered data can store up to 336 terabytes in a 5U footprint while significantly reducing data centre space, power and cooling requirements. Dell Fluid File System (FluidFS) v3 offers customers enterprise-class file storage featuring improved performance at one-third the cost of the market leader,4 helping customers better accommodate performance-intense file workloads. Available first on the Dell Compellent FS8600 later this year, FluidFS v3 can support two petabytes in a single namespace5 and offer customers the best rack density among major vendors in its class. The new release is expected to be the industry’s first primary storage solution with policy-driven, variable block data reduction, de-duplicating and compressing redundant data when no longer needed. Enabling customers to take advantage of Intel’s Distribution of Apache Hadoop (IDH). Dell currently is testing a solution based on IDH with customers, which will focus on performance and security, and offer customers choice for solutions to harness the value of big data. Dell Crowbar currently includes integration to Hadoop and will integrate with IDH when Dell launches an IDH-based solution this year. Support for Cloudera Search for Hadoop to enable less technical users to ask questions of big data more easily and quickly. Cloudera’s new search capabilities add powerful full-text indexing to data stored in Hadoop or Hbase. Dell Crowbar currently integrates with the Dell | Cloudera Hadoop Solution to accelerate open-source cloud development, deployment and updates.